Salt reduction can be beneficial in some people who suffer from high blood pressure but how about the others. There is a popular belief that a low-salt diet is beneficial for health. However, a large new research study involving more than 130,000 people has found otherwise. The study suggests that, compared to average salt intake, the risk of heart disease, stroke and death is higher in people with low-salt diets (less than three grams per day). Only people who suffer from high blood pressure (hypertension) and those who have high salt consumption should think about reducing sodium intake. 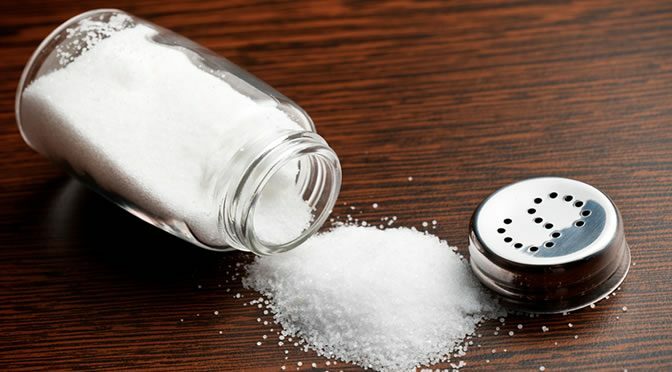 “While our data highlights the importance of reducing high salt intake in people with hypertension, it does not support reducing salt intake to low levels. The general recommendation for daily sodium intake in some countries such as Canada appears to be set too low. In Canada, the current intake of sodium is about 4 grams per day and some guidelines recommend that it should be dropped to below 2.3 grams. Although low sodium intake is linked to lower blood pressure, previous studies show that compared to average sodium intake, low sodium is related to an increased risk of heart disease and death. High sodium levels may be unsafe for those with hypertension, but only about 10% of the global population have both hypertension and high sodium intake (more than 6 grams per day). “Low sodium intake reduces blood pressure modestly, compared to average intake, but low sodium intake also has other effects, including adverse elevations of certain hormones which may outweigh any benefits. The study was published in The Lancet (Mente et al., 2016).